As China’s children’s book market matures, publishers are looking at developing local talent while maintaining a balance with foreign titles. While other markets around the world reported relatively stable children’s book sales in 2017 (with small increases or decreases), China’s children’s book market grew by 9.66 percent—and this is its lowest growth rate in the last 10 years. This is according to a new report, “2018 Report on China’s Children’s Publishing Industry,” by Ren Dianshun, editor-in-chief of China Publishers Magazine and a researcher at the Industry Research Institute of China South Publishing & Media Group (CNS). This slower growth comes after a decade of huge changes for Chinese book publishing, and the children’s book sector in particular, in which the average annual growth rate over the last 10 years is 19 percent. Ren presented his report during a conference session at the China Shanghai International Children’s Book Fair (CCBF) last week. 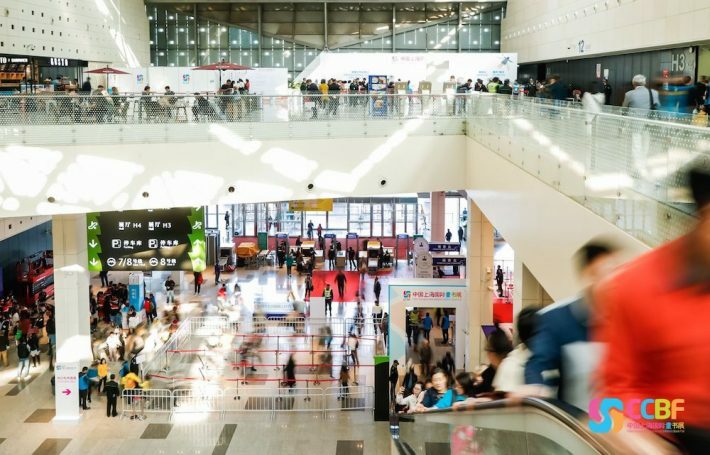 The fair is now being co-organized by BolognaFiere, which brought some expanded programming and other elements of its Bologna Children’s Book Fair to Shanghai. Children’s books—picture books, in particular—are relatively new in China. 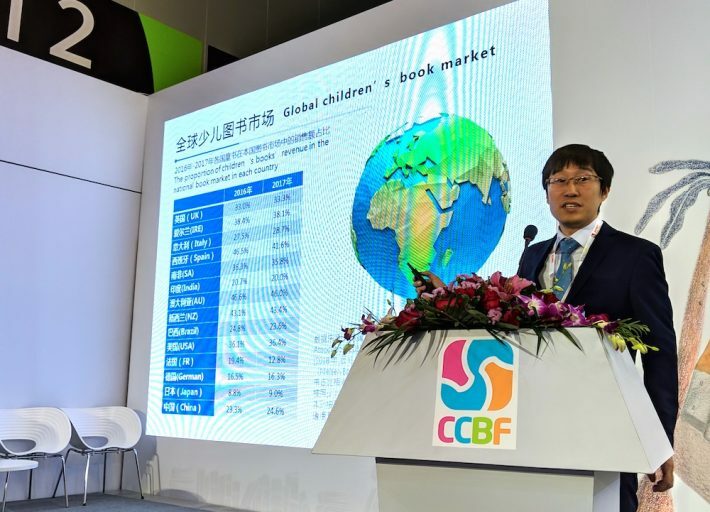 At the Bologna Book Fair earlier this year, Haiyun Zhao, deputy director-general for SAPPRFT’s department of import administration, told Publishing Perspectives that modern picture books have been on the market in China only for about 15 years. In this short amount of time, Chinese publishers have built up the domestic children’s book sector by bringing many foreign titles to the market and by developing authors and illustrators at home. Ren reports that 22,834 new children’s books were published in China last year, and 19,607 titles were reprinted. Sales reached 17.55 billion yuan (US$2.5 billion) in 2017, up from 3.9 billion RMB (US$561 million) in 2008. Using more than a decade’s worth of data from a number of sources—GAPP, CNS, industry research firm OpenBook, e-commerce company Dangdang, and data solutions provider Centrin Ecloud—the report shows a market that is quickly maturing yet still offers plenty of potential for both Chinese and international publishers. The main reasons for this rapid growth, Ren told the audience, are China’s massive population and peoples’ increasing willingness to spend money on books. More people are reading, he said, and parents are spending more money on books for their children than before. Because this book-buying trend doesn’t seem to be slowing down and because of China’s stable birth rate, Ren predicts that the children’s book sales will continue to grow at a steady pace for the next few years, despite lower-than-average growth in 2017. In his analysis of the various children’s publishing companies in China, Ren found that privately owned publishing companies tend to publish more foreign titles than state-owned publishers. This was particularly true among the companies newer to children’s book publishing. For example, CITIC Press Group has only been publishing children’s books since 2015, and they publish a much higher percentage of translated titles than other children’s publishers. According to Ren, 75 percent of CITIC Press Group’s children’s books are translations from abroad. For the leading state-owned children’s book publisher, 21st Century Publishing Group, that figure is 46 percent. And for the No. 2 publisher, Zhejian Children’s Publishing House, it’s 25 percent. Beijing Stepbooks Publication Co. Ltd.
One result of the increases in China’s children’s book market—in terms of the number of books published and revenue generated—is a more competitive environment. There are now 556 children’s book publishers in China, according to Ren’s report, making this sector the most competitive in the country’s domestic publishing industry. Ren said that publishers are putting more resources into marketing their titles and building brand recognition for their series, characters, and authors. Along these same lines, a more competitive market means that publishers are looking closely at which titles they acquire from abroad, and they’re working to develop strong local talent to stand out in a more crowded market. This focus on Chinese authors and illustrators is something Ren predicts will continue in the next several years. In the short term, he said, foreign titles will continue to dominate the market but we can expect Chinese publishers to develop and publish more domestic authors and illustrators in the future. More from Publishing Perspectives on the Chinese market is here, and more on children’s books is here.